My grandchildren never seem to tire of playing hide ‘n’ seek. 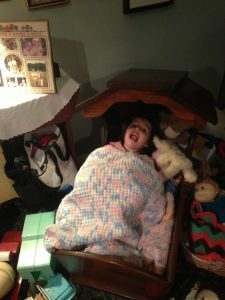 They love scurrying around to find a “a really good place” while admonishing my husband and me to “keep your eyes closed!” Eventually 4-year-old Abby yells out “Ready!” which makes it pretty easy to follow the sound of her voice to her not-so-hidden special spot. Two-year-old Jack is the easiest to find because he usually hides in the same place and as soon as “Am-pop” or “Mee-muh” discover him, he squeals with delight. 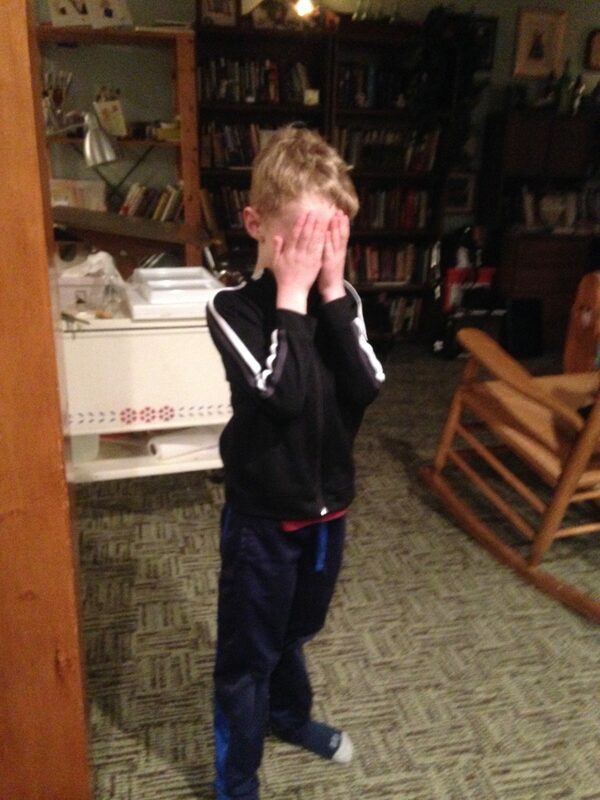 Six-year-old Ben gives us longer to hide as he doesn’t skip counting numbers the way his younger siblings do. I remember our oldest daughter playing hide ‘n’ seek as a towheaded toddler. As long as she had her head underneath something, she thought she was hidden. Never mind that the rest of her was wriggling in plain sight! And I recall as a young girl playing hide ‘n’ seek with barefoot friends on summer evenings as fireflies lit up the dark sky. I’m pretty certain every generation has its memories of this iconic pastime. Of course, we adults still play hide ‘n’ seek, don’t we? We hide from worries we can’t interrupt or fears we can’t face. 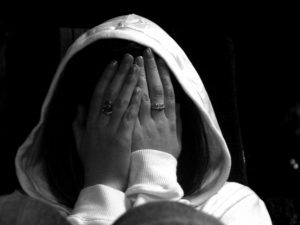 We may try to hide or emotions or our struggles. Maybe we hope no one finds us out. Perhaps you’re not hiding, but you sure feel like you want to. I can think of many other instances when life felt so overwhelming, I simply wanted to hide. When I was diagnosed with cancer. When there wasn’t enough money to pay the bills. When my mother died. When dear friends’ marriage crumbled. When people got upset and left our church. But as Christ-followers we have to face reality and we can’t just run and hide…or can we? That depends on where we are going to hide. Psalm 94:22 But the Lord is my fortress; my God is the mighty rock where I hide. Psalm 143:9 Rescue me from my enemies, Lord; I run to you to hide me. Psalm 57:1 Have mercy on me, O God, have mercy! I look to you for protection. I will hide beneath the shadow of your wings until the danger passes by. Psalm 71:3 Be my rock of safety where I can always hide. Next time life feels overwhelming, don’t just run away and hide, do as the song below says “Run to Jesus.” And as the second really short song (in wonderful four-part harmony!) reminds us, God is our “rock of ages” and it’s always good to hide ourselves in Him.